There are countless reasons why the Internet is a central hub to the lives of people throughout the world. Technology has made it possible for people everywhere to access important information at the touch of a button, which has had immensely positive effects in the realms of both business and personal use. The lives of today's professionals are unlike those of the past, as it's more possible than ever to achieve goals that might have otherwise been out of reach. If there's one thing that the Internet has changed completely, it's how we communicate. Traditional methods of communication are still being used, but business communication tools like email, forums, and other platforms have taken over. Central to this is the concept of real-time chatting, which has been in use for as long as the Internet has been around. Anyone who grew up with the Internet likely remembers the infancy of real-time chat and instant messaging. Just the sheer fact that you could chat with someone else thousands of miles away was exciting, and it's no surprise that this concept of real-time chatting has not only lived on, but flourished over time. Today, it is crucial to how people around the world use the Internet, whether for personal or business reasons. Most people may understand real-time chat as being specifically for personal use, but that has shifted dramatically over the course of just the past decade or so. These days, more and more business are embracing chat as a tool for employees to communicate with each other, and that's just scratching the surface of what's possible. Take a look at the many uses of chat in a business setting, and it becomes quite clear just how important it is for forward thinking organizations to embrace intranet chat software. It's essential that your employees can communicate with each other as easily as possible, and for a long period of time. This is where email came into play, however, email comes with a great deal of limitations, some of which can hinder productivity. Intranet chat software makes communicating with other members of your team an absolute breeze, as you can see who is online or leave a message for those who aren't. For internal communication purposes, there may be no better solution than live chat. How we go about providing customer service have changed dramatically since real-time chat has become so prominent in the business world. Gone are the days where customers would have to wait for long periods of time to get answers; today's customers expect instantaneous responses. In this regard, intranet chat software is the perfect solution. Your customers can approach you with a question, to which you can begin working on a response immediately. In terms of improving customer retention, this is one of the best things that any business can do for itself. Sometimes, it's important to have a method to communicate with not only one member of your staff, but an entire team. Group communication can truly come in handy when tackling projects and troubleshooting issues, and it serves as an extension of the real-time chat feature inherent in social intranet software like Communifire. When group messaging is properly utilized, the need for email lessens dramatically, as intranet chat software serves as a more natural, easy to follow vehicle for conversation. When it comes to your social intranet, you need a well-designed chat feature to get the most out of your workflow. Communifire comes equipped with built-in chat and private messaging, both of which ensure that starting and maintaining conversations is as stress-free a process as possible. The features inherent in Communifire's intranet chat software are tailored specifically to support the needs of modern businesses and are adaptable to your very own organization, allowing you to personalize the experience for you and your team. Administrative Privileges — Being an administrator in a social community means having the right tools at your disposal, and Communifire has got you covered with its built-in administrative privileges. 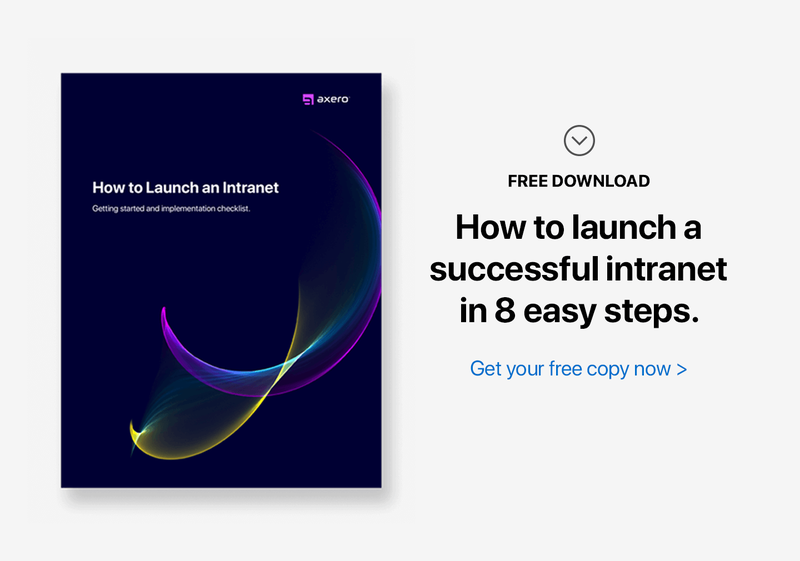 Your intranet chat can be turned on or off by administrators, and user roles and permissions can be set to determine who is able to chat and create their own conversations. With Communifire, you'll never have to worry about control issues. List of Online Members — When communicating with members of your organization, it helps immensely to know who is online. After all, there's nothing worse than sending a message to someone who isn't available when you need a quick response. Communifire's chat window lists the names of each person who is currently online, and starting a chat with someone is as easy as clicking on their name. If they're available to chat, they'll have a green dot placed next to their name, while no icon or a grey dot indicates that someone is currently unavailable. New Chat Window and Multiple Chat Tabs — If you end up in over your head during a project, you'll most likely need to call upon some help from your colleagues. In this instance, it's not uncommon to chat with a number of people while still being engaged with the project details in your social intranet. This means you'll need to open a new chat window or tab in your browser as well as multiple tabs within your chat window. Communifire makes this simple, as each conversation you start with a different user is given its very own tab within your chat window. This can not only help to cut down on confusion, but makes multitasking all the more accessible for you and your team. Chat Status and Offline Mode — It's common for things to pop-up that require your immediate attention, in which case you won't be focusing on chat for awhile. Instead of having to log-out of Communifire, you can change your status by clicking the dot next to your name. This gives you the options of online, away, do not disturb, invisible, or go-offline. Notification Sounds — Those who are busy handling multiple tasks throughout the day need to make sure they don't miss an important message from a staff member or customer. This is where notification sounds come into play. Communifire allows users to toggle notification chimes or dings that go off as a message is received, which means you don't even need to be looking at your chat window to know when you've been contacted. For those who are always multitasking, this feature can be exceptionally useful. Saved Chats — In many cases, your chats will contain important information that may need to be called upon in the future. When you're trying to wade through countless emails, finding the information you need can be quite difficult. Communifire's intranet chat software saves your chats and instant messaging sessions, which means recalling important information is only a few clicks away. Even though chat is such a huge part of how many people use the web (as it's been since its inception), some business owners are unaware of the many benefits that can come along with incorporating intranet chat software into a professional setting. Understanding how your organization can benefit from embracing real-time chat doesn't have to be difficult, as the positive effects that come along with it are well-documented. Customer Satisfaction — Keeping your customers and clients happy is an essential part of providing the best customer service possible. Since great customer service typically leads to enhanced customer retention, it's easy to understand just how important it is to focus on giving your audience what they need. When you use intranet chat software as a vehicle for providing customers with solutions, time is saved on everyone's part, and your customers will no doubt appreciate the personal touch. Less Reliance on Email — Email is one of the most commonly used platforms for virtual communication, yet the issues that come along with managing email threads are difficult to ignore. When you use Communifire's intranet chat software to interact with your employees, team members, and customers, your email inbox becomes more of a notification center than a hub for communication. This means less time moving between applications and an overall improved sense of organization, both of which can lead to increased productivity. Reduced Expenses — A lot of managers and CEOs tend to overlook communication costs. Telephone service, for example, can be quite costly, especially when you're dealing with international employees or clients. Since every business owner is looking to reduce their expenses as much as possible, it's important to figure out how communication costs can be streamlined. In most cases, social intranet software like Communifire and its built-in chat system are exactly what modern businesses need to cut ties with outdated methods of communication, hence reducing costs to a large degree. Transcriptions — One of the biggest challenges of handling customer service queries over the telephone is transcribing the conversation. This can be essential in many situations, as it's often important to have a written record of what is said on both ends of the phone. Since every chat in Communifire is saved and can be called upon in the future, there's never a need to worry about transcribing an interaction with a client, customer, or team member. Customer Feedback — Understanding whether or not your customers are happy with your products and services is an important part of helping your business move in a forward direction, yet obtaining customer feedback is often a struggle. In many cases, it's important to follow up with a customer on whatever feedback they provide, as this will help to clarify exactly what they have to say. Communifire's intranet chat software is an excellent platform for gaining customer feedback, and continuing the conversation is a simple, straight-forward process. Improved Collaboration — While many people choose to handle tasks and projects on their own, there's no substitute for collaboration when it comes to the creation of great ideas and solutions. Anything you can do to improve collaboration between your staff members is a worthwhile venture. When team members chat with one another in Communifire, collaboration becomes that much easier. Higher Levels of Employee Engagement — Employee engagement is an important focal point for modern businesses. It can take a great deal of effort from management to improve engagement levels within your organization, but sometimes, all it takes is getting them collaborate with each other. Higher levels of employee engagement can come from using Communifire's built-in chat system, and it all happens naturally without the need for intervention. Real-time chat is a crucial part of social intranet software, and it's no doubt going to stick around. When you take the time to embrace and get the most out of Communifire's intranet chat software, both internal and external communication become second-nature.